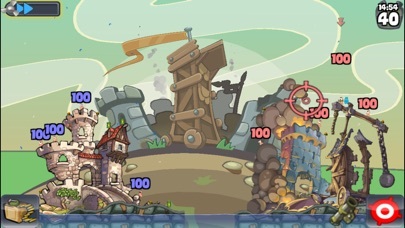 Run for cover as the original, award-winning turn-based strategy game WORMS™ hits the App Store! 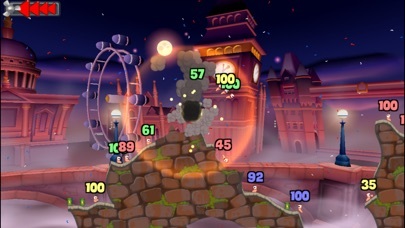 With a selection of single player battles, up to 4 player multiplayer mode and plenty of ways to customise your team, Worms™ is high on entertainment and replay value! •Authentic Worms™ gameplay. •Honed iPhone control system. •Cartoon-style visuals and comical audio. 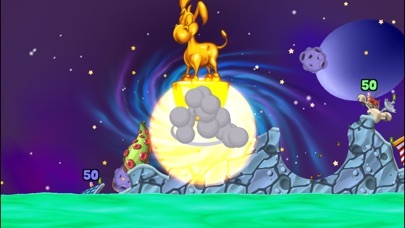 •Plan your attacks with the Sheep, Holy Hand Grenade and the Banana Bomb! •50 challenges, with items to unlock. •6 environments, each one with random battlefields, no two games are the same! •Personalise your team with names, voices and gravestones. •Custom music support. •Auto-saves game state on exit. Featured in this 2.0 update: •Play against your friends with Bluetooth multiplayer! Up to four players can join the mayhem in what is possibly the best multiplayer fun you can have on iPhone! •Feel like showing off? No problem! Post your high scores and achievements to Twitter or Facebook from inside the game. •Choose what music you want to listen to while you play, with in-game playlist browsing. •Think you're a Worms™ expert? Take on a true test of your skill and face the mighty challenge of the all-new Body Count mode. •Watch your finest moments again and again with the return of action-replays. •For 3GS users, enjoy the improved visuals, with animated 3D backgrounds, superior water effects and other graphical enhancements. 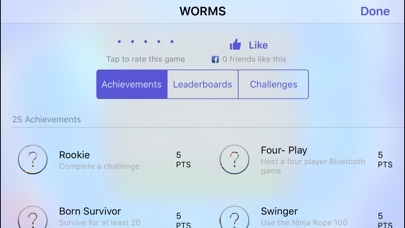 •And with Plus+ integration, you can create your own friends lists and write your name in the Worms™ hall of fame on a selection of online leader-boards. •Plus a variety of tweaks and improvements throughout! 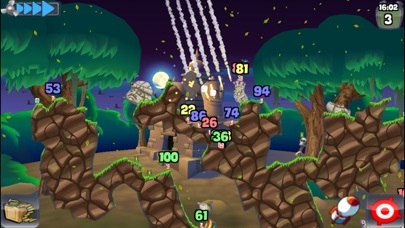 New Game Alert **Worms Crazy Golf** DON’T MISS OUR OTHER EXCITING WORMS GAMES! 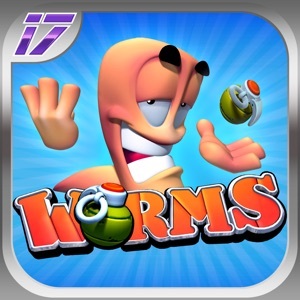 Worms Crazy Golf, Worms 2 Armageddon, Worms HD, Worms Crazy Golf HD & the Worms Sound board FREE! GIFT THIS APP: Click the “Buy App” arrow on ITunes® App Store.